If you are getting ready to put your home on the market and sell it, there are several things you want to do ahead of time to ensure the home is staged correctly to attract the most potential buyers. You may already know you need to declutter and clean out closets, rearrange furniture, and even eliminate pieces from the home to make it more spacious. Yet, during the staging process, many homeowners often overlook their carpeting and the upholstery on their furniture. Remember, you goal is to make an impression with potential buyers and entice them to picture themselves living in the home, which will result in purchase offers. No matter how much work you put into cleaning, decluttering, and reorganizing the home, home buyers are quickly going to be turned off if they walk in and the first thing they see are stains in the carpeting or on upholstery. Even the smallest of tears or frays in carpeting can be a deterrent for picky buyers, who want the home to be “move-in” ready should they decide to make an offer to purchase your home. While your realtor might suggest using area rugs to cover up unsightly stains or carpet damage, prudent buyers will take the time to lift up the rug and look underneath it to check out the condition of the actual carpeting. Rather than risk losing potential buyers, a much easier solution is to have your carpeting and upholstery professionally cleaned. We recommend you complete all of your other home staging tasks first and get the carpeting cleaned last. This way if you find other stains, tears, rips, or frays while you are working on the other tasks, you can get these areas taken care of at the same time. In areas of the home with hardwood or laminate flooring, where area rugs are used, you should get these cleaned and/or repaired, too. With tears, rips, and frayed carpeting, depending on its age, these can often be fixed quickly and easily using various methods and techniques. Once completed, even you will have a difficult finding where the original damage was located. In addition, while you are staging the home, if you notice the carpeting is bunching up in different areas, like it can do if you slide heavy furniture across it instead of picking it up, the carpeting could require stretching to restore it to the proper size and shape to remove the bunching and any wrinkles. Putting these finishing touches on your staging processes will ensure your carpeting and upholstery look great when potential buyers are viewing your home. To schedule carpeting cleaning, carpet repairs, area rug cleaning, upholstery cleaning, and other related services in the GTA, please feel free to contact Dr. Carpet at 647.800.5199 today! Is It Better to Repair or Replace Water Damaged Carpeting? Initially, especially if the room is under a few inches of water or more, you might decide your only recourse is to replace the carpeting. However, you might be able to save some money by having it repaired instead using our emergency water damage and restoration services. The first, and most important thing you need to do determine the cause of the water damage and stop the flow of water into the room. The next thing you will want to do is call for emergency service right away. The longer the carpeting sits in standing water and remains wet the more damage it can experience. In addition, you will want to avoid walking on the carpeting as much as possible, as excessive foot traffic could cause further damages to already wet carpeting. Once we arrive, we can help assess the situation, provide assistance in removing all furniture and items out of room, dry it off and storing it in a dry area of the home. Ideally, the excess water needs to be extracted from the carpeting, fans set up, and other steps taken to help dry out the carpeting as quickly as possible to prevent extensive damages. The source of the water is the determining factor often used to decide the best course of action – repair or replace the carpeting. Regardless of the end result, it is essential to get the carpeting dried out as soon as possible to avoid further damages, not only to the carpeting, but also drywall, baseboards, underlayments, and subflooring. If the source of the water was from a “sanitary” source – that is, broken fresh water pipe – then it is possible to save the carpeting. Once the carpeting is fully dried, it is treated with various agents to prevent mold, mildew, and bacteria from developing. If the source of the water is from an “unsanitary” source – that is a backed up sewer line, toilet overflow, or dishwasher or washing machine overflow – the extent and level of contamination is assessed to determine the most appropriate action to take. For instance, with washing machines and dishwashers, the contaminants are easily treatable with anti-bacterial agents, so the carpeting could be saved. For sewage line backups and toilet overflows, then it might be necessary to replace the carpeting. Again, it depends on the actual amount of contamination. In cases where there was “black” water that flooded room, then it is often better to replace the carpeting, simply because “black” water means it is full of different containments, which could include raw sewage. 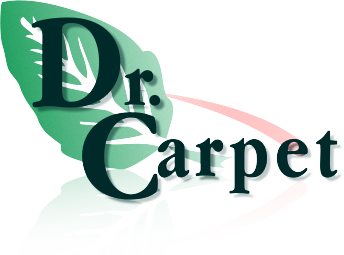 If you ever experience water damage or flooding to your carpeting, remember Dr. Carpet is here to help. We offer 24 hour emergency response, so we can be at your home quickly and help minimalize the damages. Call us at 647.800.5199 now! As you carpet ages, you might notice a seam that is rather noticeable. You may also have small burn marks or stains in the carpeting that will not come out no matter how hard you have tried. There could even be certain areas of the carpet where it starting to buckle or the edges have become noticeable and appear to be fraying. Your initial response to any of the above issues might be to just replace the entire carpeting with brand new. However, depending on the extent of the problems and their locations, there can be several benefits to exploring your option using carpet repair and stretching services, first. 1. Costs Less – The most obvious benefit is for minor staining, burn marks, holes, noticeable seams, and buckling, having these problems repaired or the carpet re-stretched cost significantly less than replacing the entire piece of carpeting. 2. Extends the Life of the Existing Carpeting – Addressing issues as they occur will extend the life of the carpeting and translate to fewer replacements. For instance, if the carpet is buckling and you notice wrinkles in main walkways, and do nothing, not only are tripping risks increased, but also the likelihood of creating rips and holes in the carpeting when it is vacuumed. By getting the carpet re-stretched, you avoid these other related problems and ensure to get the maximum life out of the carpeting. 3. Professional Patching Makes Repairs Hard to Notice – Most people have scraps of carpeting left over for easy colour matching, and if not, professional patching companies keep a stock of a wide variety of colours and brands for repairs. After your carpet has been professionally patched, no one will be able to tell you had it repaired. 4. Professional Repairs Last for Years – The repairs you have made to your carpeting by a professional provide for years of enjoyment. Depending on the age of your existing carpeting, repairs could last just as long as, and sometimes even longer than the remaining life left in the original carpeting. There are several DIY carpet repair products on the market that say they can provide a professional finishing without the use of an experienced carpet repair service. However, what many people do not realize is carpet repair is a detailed and complex process. The direction of the carpet fibres, stitching, and seams all must be matched and repaired correctly. Most of these products fail to mention this and only provide a short-term solution. Furthermore, most people, who have attempted to use a DIY solution, end up causing more damage to their carpeting. In the end, they end up having to call a professional anyway and end up paying more to get the carpet fixed, than if they had called a professional initially. For professional carpet repairs and stretching services in Toronto and the GTA for your home or business, please feel free to contact Dr. Carpet at 647.800.5199 today! We offer a variety of services to help you maintain the look and appearance of your carpeting.